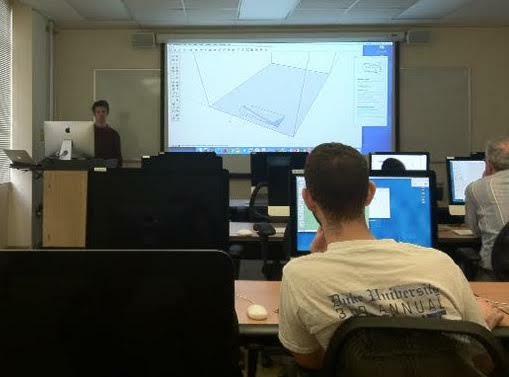 The Innovation Co-Lab Roots program allows students, faculty or staff of any level gain new technology skills. Also, weekly drop-in Studio Sessions offer popular topics. Go to https://colab.duke.edu/roots for information and updates. Wed, Jan 27, 5:30-9 p.m.
Mon, Wed, Thu, Feb 1, 3, 4 (multi-day workshop), 6-8:30 p.m. Wed, Feb 3, 2-5 p.m.
Thu, Feb 11, 5:30-7:30 p.m.
Ivonna Dumanyan, Duke undergrad, talks about her Innovation Co-Lab grant project Biometrics, what it means to innovate, and advice for fellow Duke innovators! The Innovation Co-Lab is exploring the possiblity of a non-credit course or set of courses on topics related to web design, development, software/mobile development, and hardware product design. Students are encouraged to complete the foundations survey online to give their input. Duke students spent the weekend exploring a box full of idea-generating technology, courtesy of the Innovation Co-Lab. 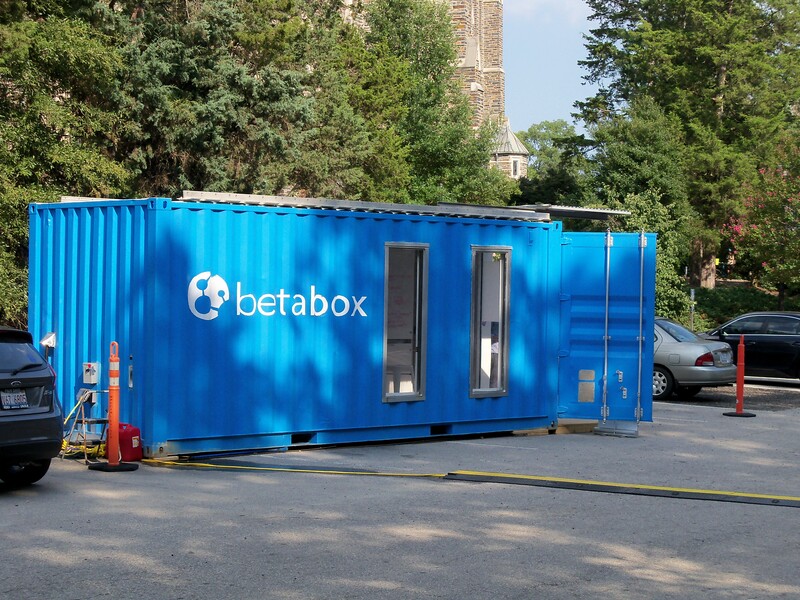 The BetaBox, a “mobile creativity lab” developed by the startup Betaversity, is the size of a shipping crate and contains a range of high-tech tools to help students develop ideas for products and innovations. Read more in the Duke Chronicle. 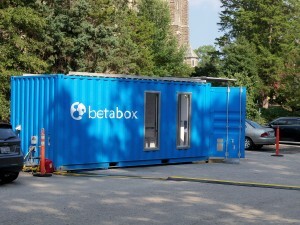 BetaBox in front of Bryan Center.